Amsterdam and Taipei are two very different cities. One is located in the liberal heart of Western Europe, while the other sits at the edge of the ocean, and is an Asian city with a very different culture. Taipei is known for its modernity, it’s food and temperate climate, as well as its geography and unique culture which sets it apart from it’s larger neighbour China. Amsterdam known for its nightlife, its extensive canal system, historic architecture and “coffee-shops” as well as its vibrant culture and as a melting pot of ethnicities and people. Sharing culture is growing steadily, and becoming an accepted and preferred way of life. The sharing culture is growing steadily, and becoming an accepted and preferred way of life, and led not only by the government, but with business and civic partners leading the way as well. Taking a look at Amsterdam, it has been on the cusp of becoming the regions sharing city capital for some years, with sharing start-ups leading the way. 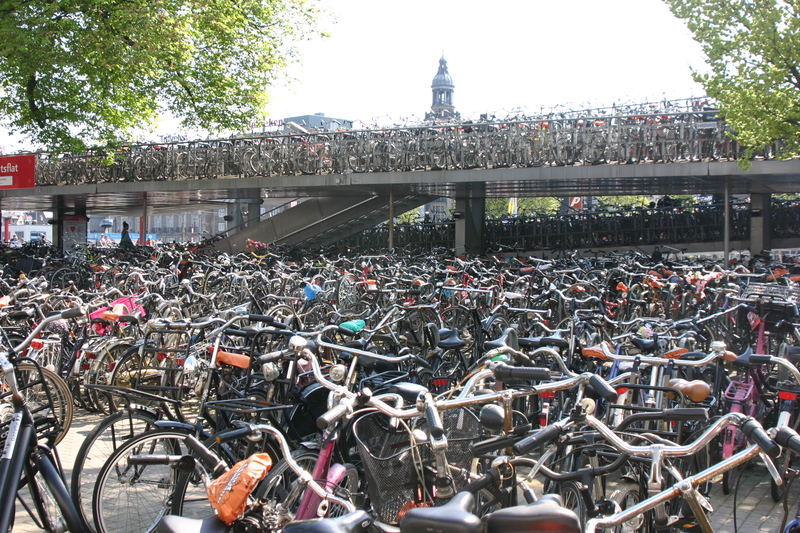 Since February 2nd, Amsterdam has officially captured the title of Europe’s first sharing city. This has only been possible due to government participation and effort, as well as sharing start-ups in the city and other normal businesses as well. This collaborative effort to tackle issues and opportunities faced and presented by becoming a sharing city was only possible with the efforts of all actors involved. The prize? A more socially connected city – as well as a more efficient and enterprising economic landscape for both start-ups, businesses and customers. 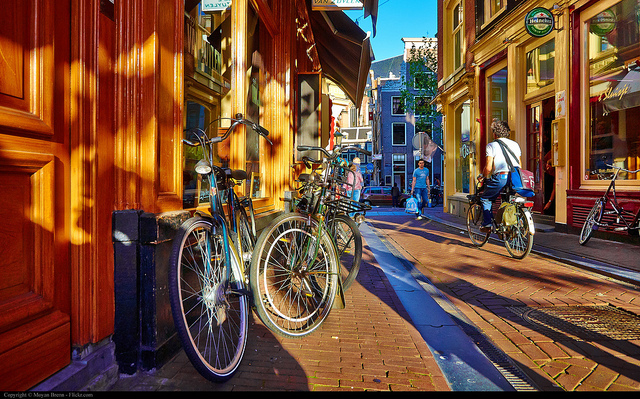 As Amsterdam has a local government (as compared to some countries with only federal or country-wide governments) , easing and changing rules and regulations to make the city more friendly to sharing start-ups as well as initiatives is easier. They have also been the world first in developing regulations for AirBnB rental transactions – a key concern amongst locals worldwide. The sharing economy in Amsterdam is not only confined to home-sharing or ride-sharing, but also includes borrowing platforms, which connects people who need stuff to people who can lend it, much like the libraries of things we covered in a previous article. It must be understood that while Amsterdam still has some headway to make, bigger businesses like banks and insurance companies in Amsterdam are also looking at how they can utilize the sharing community and the power of collaborative consumption to make the city a more connected, liveable space. On the other side of the world, in Taiwan and the city of Taipei, the issue of liveability – traffic congestion as well as pollution is a major headache in many Asian metropolises. Regardless of wealth, the amount of cars on roads only increases pollution, and with the ever increasing costs of owning a car, city officials are hard pressed to look for alternative. The solutions to these problems have been many, and some have worked, and some haven’t. Some countries have banned cars with starting even numbers on their licence plates on even numbered days, and conversely, for starting odd numbered cars on odd numbered days. Others, have imposed fines and heavy tolls for cars entering certain areas at certain times to lower traffic congestion, or raised the cost of a car to astronomically high prices for licences or taxes to limit the number of car owners. All of these have met with some limited success, to one degree or another. But to take people away from cars doesn’t solve the main problem, that people need transportation that is affordable, yet available and if possible, environmentally friendly. Enter Taipei’s solution. Taiwanese have always ridden bikes, and they have a culture of bike riding, since their temperature and climate is moderate enough to allow for it. The Taiwanese have taken it a step further, with the YouBike system, as it is called in English, and informally known as the Taipei bike sharing system. The simplicity of the model combined with the availability and widespread use of the bikes are what makes this project an ongoing and longstanding success. For NT$10, one time users can use the bikes as well as people who buy an EasyCard (a wireless payment card used for public transport). What’s more, EasyCard users get the first 30 minutes ride free to encourage the use of the bikes. Of course, the EasyCard costs about NT$100 which is roughly USD$3 to purchase. As for non EasyCard holders, every 30 minutes of use costs roughly just USD$0.31! The popularity of the system is attested by the empty stands which hold these bikes – the locals use them so much that they are empty most of the time! In addition to being affordable as well as being widely distributed, as they can be found outside underground train station exits, as well as busy interchanges and transit points, bikes are given leeway and a special path on most roads in the city as well. The local government, of course, encourages the use of these bikes, as well as creating regulations to create a safe environment for people who use the bikes. Again, public and civic cooperation along with business partnerships go a long way to furthering the sharing economy and culture across the globe. Without such cooperation, initiatives are less likely to succeed.